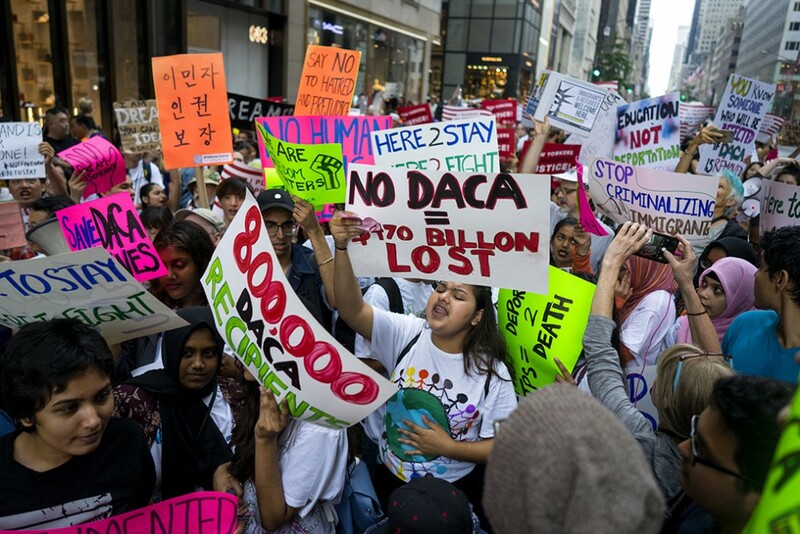 A Personal View of DACA: - Rounds Consulting Group, Inc.
Last week the Trump administration announced the phasing out of DACA which created a storm of controversy. The plan delays the end of the program for six months giving Congress the chance to pass legislation. While discussions are progressing based on the pressure from polling, this will be an important policy issue for some time. I am an economist. I look at economic and policy issues closer than the vast majority of people. I am also the son of Hispanic immigrant parents and I was raised in Douglas, Arizona (a border town). I have family and friends directly across the border in Agua Prieta and throughout Mexico. I have witnessed firsthand the complicated issues regarding undocumented immigrants. I am not talking about watching immigration issues on television. I am talking about people I actually know. Despite my tight connections with our neighbors to the south, I am conflicted on certain points because it’s not a simple topic. There are security issues at the border. This needs to be shored up. Legal immigration should be the first choice for an individual but we clearly need reform in that area. Lower income immigrants do receive more government benefits than they pay in taxes. It is ridiculous to argue to the contrary. However, what people forget is that every household across America that earns median income or less is a net recipient of government services (the break-even point is actually quite a bit above median). The DACA debate and the impact on Dreamers is where I have no such conflict. Dreamers are law-abiding, educated, and tax paying members of society. They desire higher education and have a sense of public service and interest in democracy. So, what good will it do to remove these people from their homes and families? From an economic standpoint, the U.S. could lose hundreds of thousands of productive workers and realize significant economic losses, not to mention the “spinoff” effects of their spending which supports additional jobs. From a moral standpoint, removing a person from their home and family to forcefully send them to a country they are unfamiliar with is a cruel injustice. Congress should set aside their differences and pass legislation that protects these Dreamers from deportation and gives them a chance of doing something great.